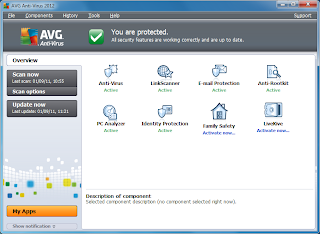 AVG Antivirus 2012 Full with License key 1 Year, AVG Anti-Virus 2012 is the commercial version of the company's malware-hunting tool, which delivers everything you'd expect from an antivirus engine, and adds a few useful extra features for good measure. If you've used any AVG product in the past year or so then the interface will be familiar. Anti-Virus 2012 launches on an Overview tab where you'll find icons for each of the programs features; clicking on Anti-Virus displays key program settings, then you can manually launch your first scan, or set up a scheduled scan or two, in just a few clicks. There are so many other protective layers, though, that AVG Anti-Virus 2012 feels more like a security suite than an antivirus tool. So LinkScanner helps to keep malicious sites at bay while you're browsing; Email Protection examines incoming messages for potential threats; there's a separate rootkit scanner; and Identity Protection monitors program behaviour and automatically blocks actions which could lead to identity theft. 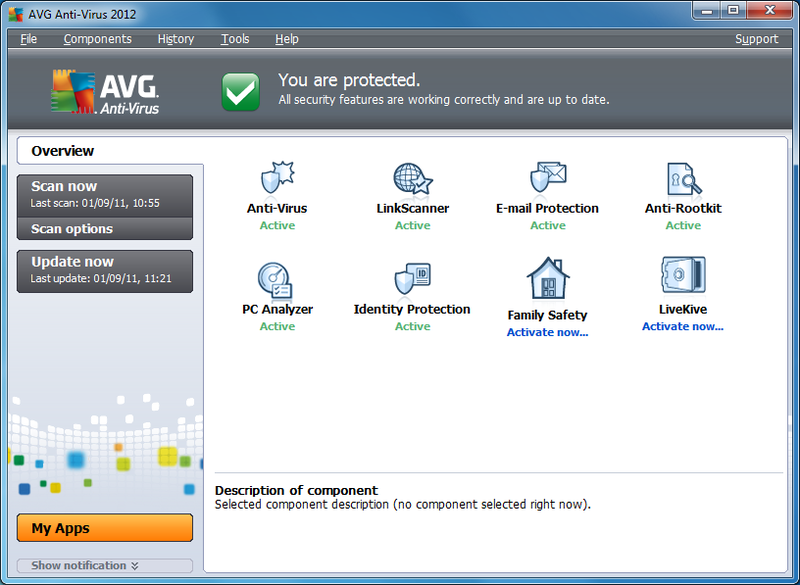 In addition, the program now integrates icons for a couple of AVG addons; Family Safety (parental controls) and LiveKive online backup. These remain separate and packages and you'll have to pay more to use them, but this needn't be much; clicking the Family Safety icon revealed that a 3 PC, one year subscription would cost a minimal £0.95.